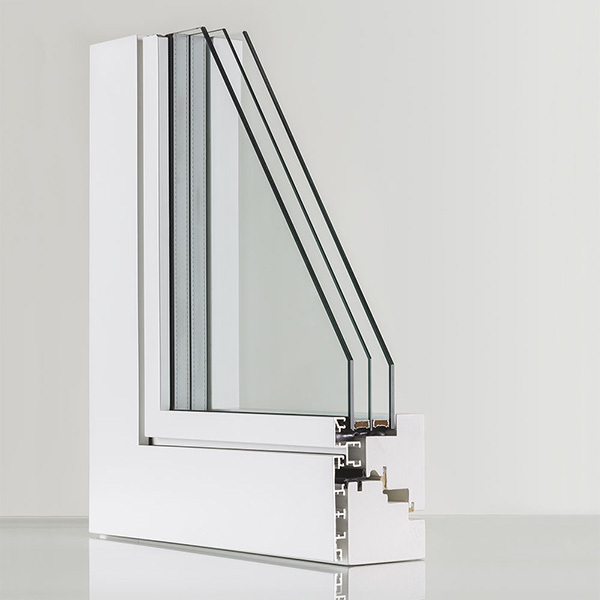 PARADIGMA BICOMPLANARE is built in plywood with an external aluminum cladding; the frame section is 105x90mm, the sash section 100x83mm, it is equipped with internal flush staff of 70x10 mm. 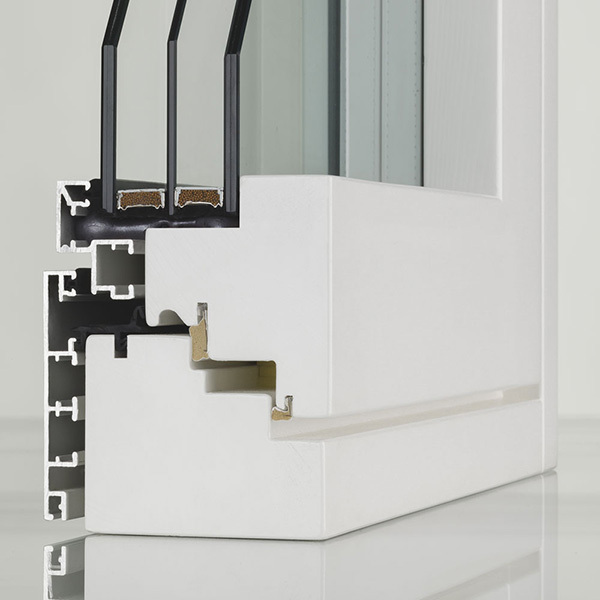 A perfect insulation is guaranteed by two heat and sound proofing seals with memory effect, two TPE seals on the frame, and an external perimeter seal on the glass. 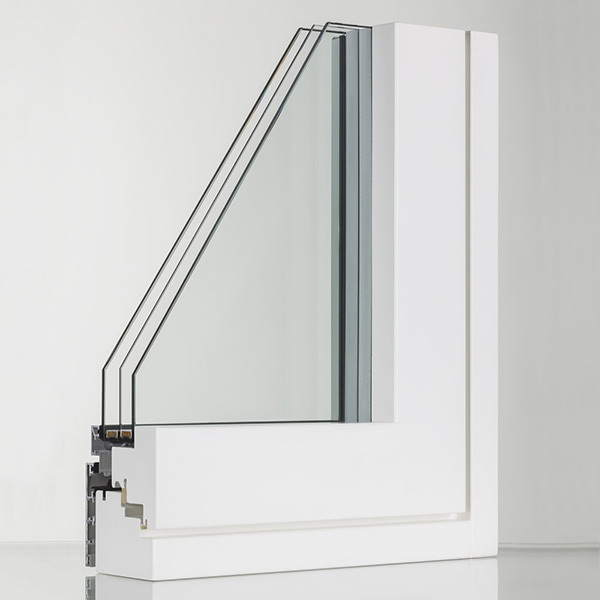 It is equipped, moreover, with a fixer glazing beads to lock the glass, which is foamed to improve fastening and thermal insulation. The band closing hardware is tilt-turn and anti-theft. 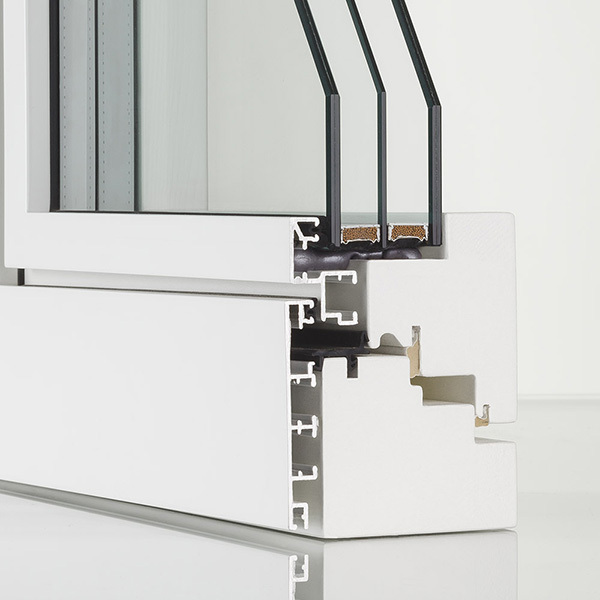 The sealed glazing can be chosen: one has a thickness of 28mm, with composition 3+3/16/3+3 low emission with Super Spacer, and the other has a thickness of 52mm with composition 3+3 low emission /18/4/18/3+3 low emission with Super Spacer. The aluminum cladding is fixed to the wood frame with clips to separate the two items, allow ventilation and prevent mildew formation; the aluminum painting is made with polyester thermosetting dust with high resistance. Reference model of avant-garde design in the frame world.